The festival celebrates the first cutting and distilling of the new season lavender blooms, to extract the precious lavender oil. 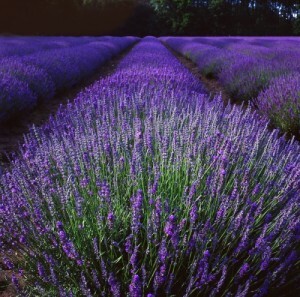 Norfolk Lavender have a demonstration distillery in the gardens where you can see the process. Our Heacham farm shop is housed in what used to be the lavender distillery, and the beautiful old copper stills are now a decorative centrepiece to our fruit and veg display. We have a great Tasting Weekend planned as part of the festival. On the Saturday our neighbours Fox Brewery (from Heacham), Two Rivers Brewery, Chillis Galore, Norfolk Cordial, Scarlett & Mustard and Stokes Sauces will be here offering great tastings of their wares. On the Sunday the English Vodka Company, Tastes of Anglia (distributors for great local produce), Jennifer’s Jams from Walsingham, Scrubby Oak, Norfolk Brewhouse, Drove Orchards, Candi’s Chutney and Love 2 Bake will all be with us with tasty offerings. Come and see us to meet and chat with producers all passionate about local food and drink. There’s plenty more going on at Norfolk Lavender all weekend: attractions all weekend include craft stalls, The Norfolk Hospice fundraising stand, Super Trooper, Sculthorpe Moor Wildlife Trust, miniature ponies, Bee Keeper, and a bouncy castle! Come on Saturday for the Hilgay Silver Band, The King’s Morris and the Lymphoedema Support Network. Join us on Sunday for the Lavender Lace Trust Lavender Food Tasting, the KLFM Mascot Bear (12.45 Sunday), Doggy Dancing (can’t wait!) and Hugh the Tapping House bear, or just relax and enjoy Complimentary Massage Therapy sessions. Also visit Farmer Fred’s Play Barn, and shop at the Norfolk Lavender gift shop, Unique Interiors, and Rocks ‘n’ Rubies fashion jewellery store. Enter the Crossword Quiz at the Animal centre to win a GIANT CATERPILLAR! Entrance to the Norfolk Lavender Animal Farm is by donation only all weekend, with proceeds to The Norfolk Hospice, Tapping House.